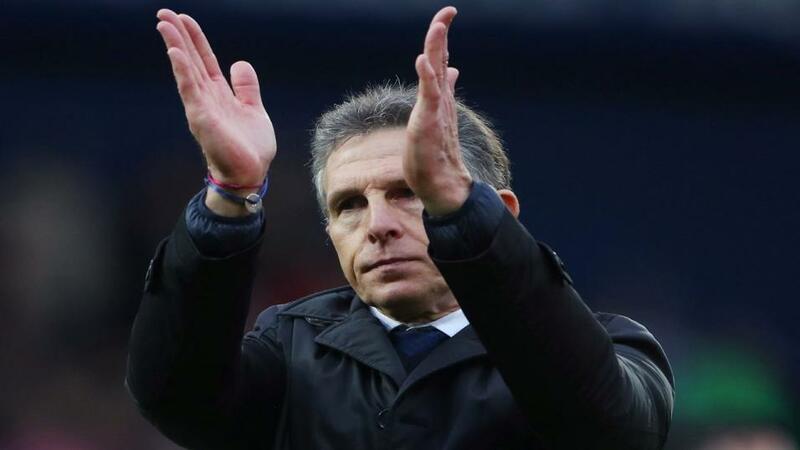 Will Claude Puel be applauding his Leicester side after their match with Southampton? "It’s possible that Shane Long will be Southampton’s only fit striker and he has not scored all season." Leicester were not alone in picking an under-strength side in the FA Cup third round, but their disastrous 2-1 defeat at Newport County left Claude Puel's team selection open to scrutiny. The chief complaint about the team that Puel put out is that Leicester are one of the few Premier League clubs who can afford to be bold in the FA Cup. Neither fighting for a Champions League place, or in danger of being relegated, you might have hoped that a club that has recently tasted glory, would take the competition seriously. Qualification for the Europa League is possible if Leicester finish in their current position of seventh, but that is dependent upon the teams above them providing both FA Cup finalists. Whether Leicester will finish that high in the Premier League is hard to gauge given their unpredictable nature. This is a team that in recent weeks beat Chelsea and Manchester City in back-to-back games, only to lose in matches against Cardiff and Newport. After resting so many players against Newport, Puel at least has a fresh and nearly fully fit squad to choose from. Only Daniel Amartey is currently unavailable to Puel through injury. Ralph Hasenhuttl has definitely made a positive impact upon Southampton, but with the team still in the relegation zone there is still much work to be done. Saints have enjoyed some positive results since Hasenhuttl replaced Mark Hughes, such as successive wins over Arsenal and Huddersfield, followed by the recent away draw at Chelsea. Yet they're without a win in four games, with their weekend FA Cup tie at Derby ending in a 2-2 draw, after Hasenhuttl's team let a two-goal lead slip. Nathan Redmond scored both of Southampton's goals in that match and has been revitalised since Hasenhuttl's arrival. The squad is still short of strikers though, with the south coast club facing something of a crisis for the trip to Leicester. Top scorer Danny Ings is injured, Manolo Gabbiadini seems set for a transfer to Sampdoria and Charlie Austin faces a suspension after being charged by the FA for making an abusive gesture in the recent defeat to Manchester City. It's possible that Shane Long will be Southampton's only fit striker and he has not scored all season. Also out are Maya Yoshida, who is on international duty, the suspended Pierre-Emile Hojbjerg and the injured Ryan Bertrand, Sam Gallagher and Michael Obafemi. Leicester are the favourites to win at [2.02], with the draw at [3.5] and Southampton out at [4.4]. The erratic form of Leicester and Southampton's improvement has created a situation where the Foxes are available at a favourable price. With Saints having a paucity of options in attack, the odds could prove to be generous. Leicester to win to nil at [3.3] is also a bet worth considering. Southampton are lacking firepower and Leicester have also been struggling for goals in recent weeks. The two goals that Leicester scored in their recent win over Manchester City marked the only time that they have found the net more than once in the last nine games. Under 2.5 goals could well land at [1.82], with the 0-0 half-time score another possibility at [2.88].